Top Palestinian official, Dr. Saeb Erekat said that Donald Trump’s victory in US presidential elections has empowered the most racist elements in Israeli government and society. 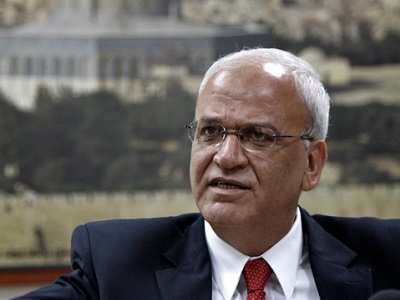 Erekat, a former leading Palestinian negotiator and the current Secretary General of the Palestine Liberation Organization (PLO) wrote in an opinion piece in the Israeli newspaper Haaretz on Monday, November 14 that senior government officials in Israel ‘should think seriously’ about the consequences of their action, particularly their euphoria that the two-state solution is now dead. “Only hours after the result was announced, several Israeli officials went as far as declaring that “The era of a Palestinian state is over.” Others called upon the U.S. to break with international law and international consensus in order to recognize the illegal Israeli annexation of Occupied East Jerusalem. This should come as no surprise, since it represents the Israeli official position, but should be a cause for serious attention by the international community. Rather than preparing for any peace proposal, the Israeli government spent the eight years of Obama’s presidency expanding settlements, demolishing Palestinian homes and denying basic human rights, through a whole host of oppressive policies. “During attempts to relaunch negotiations, Netanyahu refused to so much as share a map showing Israel’s proposed borders or to discuss any other final status issues, including Jerusalem and refugees. Instead, he preferred to focus on a PR campaign aimed at blaming the victims and distracting the public, while buying time for more settlement construction. 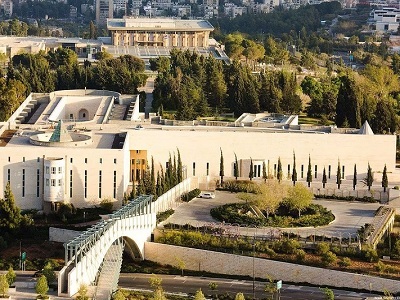 Time and time again, the Israeli government has refused to honor its obligations under prior Israeli-Palestinian agreements that have been already signed and ratified by their own parliament. “Enjoying an unprecedented culture of impunity, Israeli officials ignored the calls of their closest ally to give peace a chance, and continued with their political program of turning all of historic Palestine into one single state with two systems, one for Jews and one for non-Jews. Israel’s reaction to Donald Trump’s election only reaffirms that Tel Aviv is not interested in ending the occupation.